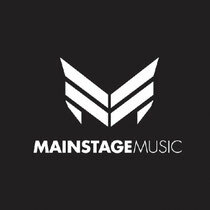 Dutch duo W&W, one of the fastest rising names in today’s dance scene, have launched their very own label – Mainstage Music. For Willem van Hanegem jr. and Ward van der Harst, Mainstage Music represents the next step in their young, but impressive career. From now on, all W&W productions, as well as their personal selection of tracks by other talents, will be released on Mainstage Music, home to Armada Music. W&W, who released their debut album ‘Impact’ last year and took DJ Mag’s Top 100 #36 position, now become label-owners. The first release of Mainstage Music is their own new single ‘Shotgun’, which has already got the support of DJs such as Armin van Buuren, Hardwell, Dash Berlin, Ferry Corsten and many others. ‘Shotgun’ is the follow-up single to W&W’s ‘Invasion’, the official anthem to Armin van Buuren’s A State of Trance 550 world tour. For more info, check out www.armadamusic.com or www.wandwmusic.com.